First and foremost, no matter if you are reading this on Thanksgiving towards the end of the holiday week, I would personally like to extend a safe and happy holiday wishes to you and your loved ones. Of course, Thanksgiving is all about being thankful. For some of you, if you own any Rams or Chiefs skilled position players, being thankful came a little early this week. While those same thankful folks are going to miss those fantasy stars in week 12, the rest of us can all be thankful that this week is the last week of the season in which we will have to deal with bye weeks. 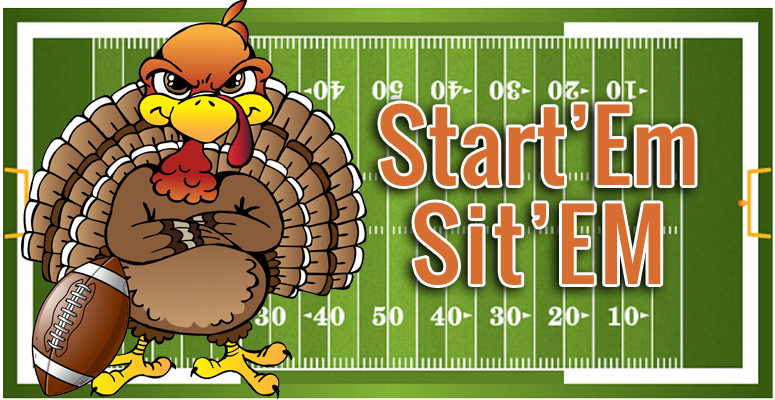 As far as week 11, this Start’em Sit’em column was a bit of a hit or miss. Eli Manning would wind up having a serviceable week while another NFC East quarterback, Carson Wentz, fell well below of expectations. Recommending you sit players like Tyler Boyd and Jordan Howard turned out to be wise advice. Let’s not discuss week 11 for too long, here are your week 12 starts and sits. More than likely, Baker Mayfield’s starting percentage is due to the Browns being on a bye last week. Regardless of that though, Mayfield is a player that you should be starting in week 12. His dramatic debut against the Jets almost seems like ancient history, but since then, Mayfield has been starting to become more consistent. Since week 7, the Browns rookie signal-caller has been a top 20 quarterback. 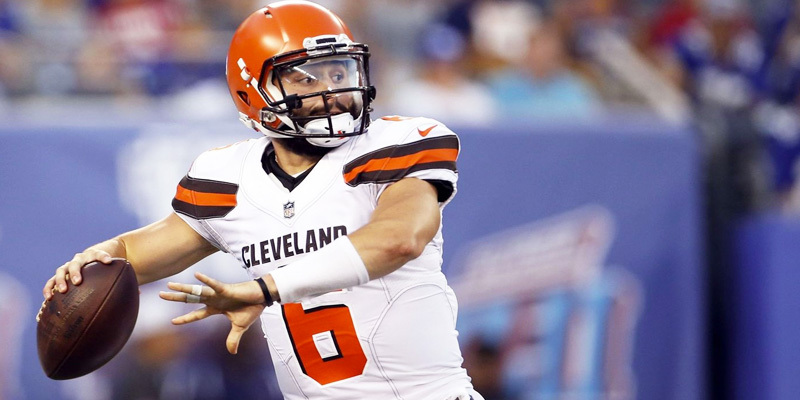 Most notably among those performances would be in week 10, just prior to the Browns bye, as Mayfield would finish as a top 5 quarterback with three passing scores. Opposing the Browns this week is a Bengals defense that has not done well against quarterbacks lately. Last week, the Bengals would allow the fifteen most points to the position, and that came against a quarterback who only completed 13 passes. Prior to that though, is where this matchup really takes shape. In each of the Bengals three games prior to week 11, they finished in the top three of most points allowed to the position. This is an ideal matchup for a quarterback who is really starting to come into form. As made evident by the beatdown in the Bayou, the Philadelphia Eagles secondary is reeling. While dealing with injuries on top of injuries, the Eagles secondary will try to do their best against a Giants team that has now won two in a row. I’m suggesting that in week 12, you follow the proverbial buzzards and plug Eli Manning into your lineup. Last week, Manning finished just outside the top 10 against the Tampa Bay Buccaneers, and it would quietly serve as his third top 15 performance in his last four games. On top of his recent trend, the Giants quarterback has been a much more productive player on the road than at home as nine of Manning’s 13 touchdowns have come on the road. As previously mentioned, while Eli Manning may quietly be trending upward, the Eagles defense against quarterbacks is headed in the opposite direction. To start the year, in weeks 1 through 6, the defending Super Bowl champions only allowed two quarterbacks to finish a week inside the top 10. However, from that point on, it has been bad. In three out of the Eagles four games since week 7, quarterbacks have finished the week inside the top 10. If he can avoid the pass rush, I think a 300-yard passing performance is more than possible for Manning. Yes, I know, the starting percentage for Derek Carr is incredibly low. Well, 2.6% of you in ESPN leagues should consider this a public service announcement. I do not like Carr and his upcoming matchup against the Baltimore Ravens. For one, the Ravens are currently allowing the sixth-fewest points to the position. On top of that, they are also allowing the second-fewest passing yards in the league. While Carr did finish just inside the top 15 last week, so far this season, Carr has yet to finish inside as a top 20 quarterback in consecutive weeks. I envision this being a low scoring affair in Baltimore and I don’t think that bodes well for Carr and the 2.6%. This week, my running back selections are players who are coming off of bye weeks. The first of those two selections is Matt Breida who will head to Tampa Bay to take on the Buccaneers. Prior to the 49ers bye, in a losing effort, Matt Breida would finish week 10 as the sixth-best running back. The 49ers week 12 opponent, the Buccaneers, have allowed a league-high 13 rushing touchdowns to the position. On top of that, in two of the last three weeks, the Buccaneers have been in the top four in points allowed to the position. 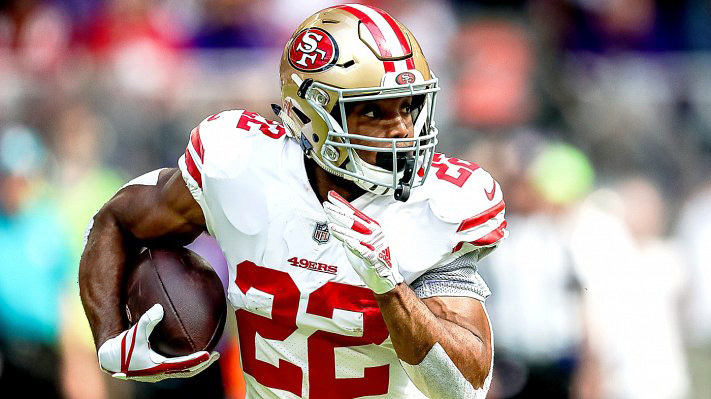 When Breida has been healthy, he has shown an ability to be productive and while I think he will finish just shy of 100-yards rushing, a rushing score will put him into start’em territory. From weeks 4 through 6, Sony Michel was the talk of the town in New England. Fast forwarding through another knee injury, some bad matchups, and a bye week, Michel has now become a bit of fantasy afterthought. Fear not though as I feel like this week is a nice opportunity for Michel to get back in your good grace. This week, the Patriots will head to New York to take on the Jets in an AFC East matchup. On the surface, the Jets have allowed the fourteenth most points to running backs. If you look closer though, the Jets have been in the top in points allowed to the position in three out of their last four games. While the game script in week 10 got away from Patriots running backs, Michel still led the team with 11 carries. The bye week has allowed Michel even more time to heal and for Michel, I feel like the home stretch of this fantasy season could be more in line with what Michel was putting together in weeks 4 through 6. During weeks 7 and 8, Lamar Miller owners would get their biggest bang for the buck as he would finish both weeks as the eleventh ranked running back. Beyond that, however, Miller hasn’t finished a week inside the top fifteen. The Texans back will take on a Tennessee Titans defense that is allowing the fourth-fewest points to the position. On top of that, they are also the only defense in football to not allow a receiving touchdown to running backs. Week 2 of this season would mark the first meeting of the season between the Texans and the Titans, and in that matchup, Miller would wind up with just 14 carries for 68 yards. That week ended with Miller finishing outside of the top 30 and I think we can expect more of the same this week. 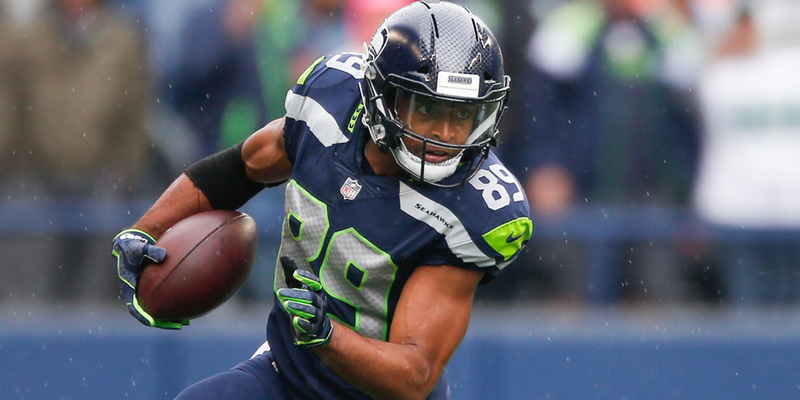 Things started off pretty for Doug Baldwin this season. After dealing with a nagging knee injury though, Baldwin may be turning the corner towards fantasy production. Since week 6, the Seahawks wide receiver has had three games with over 50 yards receiving as well as hauling in 12 of his 15 targets over the last two weeks. Last week, against the Packers, Baldwin would score his first touchdown of the season and would see double-digit targets for the first time since week 8 of last season. With the bad vibes behind him, Baldwin will now head to Carolina to take on a Panthers team that is just outside the top 10 in yards allowed to wide receivers. On top of that, in two out of the last three weeks, the Panthers have finished the week with the top 10 points allowed to wide receivers. With the exception of last season, Baldwin was notorious for being a second-half darling for fantasy rosters. In week 12, especially in point per reception formats, I think we see Baldwin rekindle that reputation. 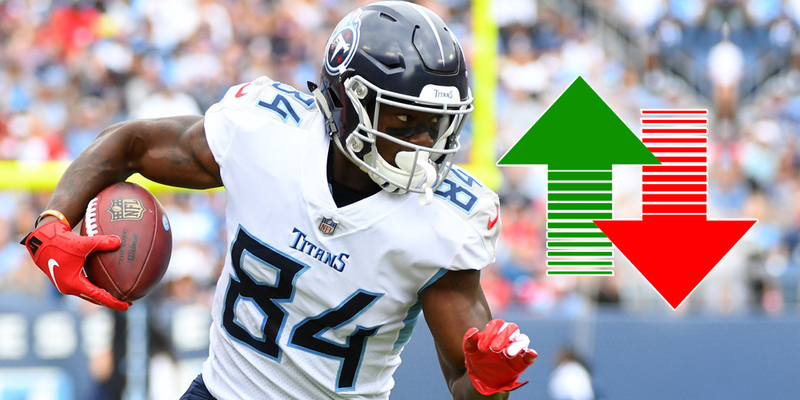 After a turbulent rookie season that was highlighted with a nice catch in a Wild Card game, the fantasy community was cautiously optimistic that Corey Davis’ sophomore season would be a productive one. With only two top-five performances, it is safe to say that the sophomore season hasn’t gone according to plan. With Marcus Mariota dealing with an injury, I don’t envision a fantasy-worthy performance in week 12. In a game that will take place on Monday night, the Titans will head to Houston to take on a Texans team that is allowing the fifth fewest points to the position. The Texans are also tied with the Jacksonville Jaguars with allowing a league-low six receiving touchdowns to wide receivers. As if you need more of a reason, the only two touchdowns of Davis’ career have come at home and on the road, he is averaging just 5.3 yards per target. Davis is more hit than miss and I expect him to miss again on Monday. The news of OJ Howard ending up on the injured reserve was initially a surprise but shortly after, the craze to pick-up Cameron Brate began. 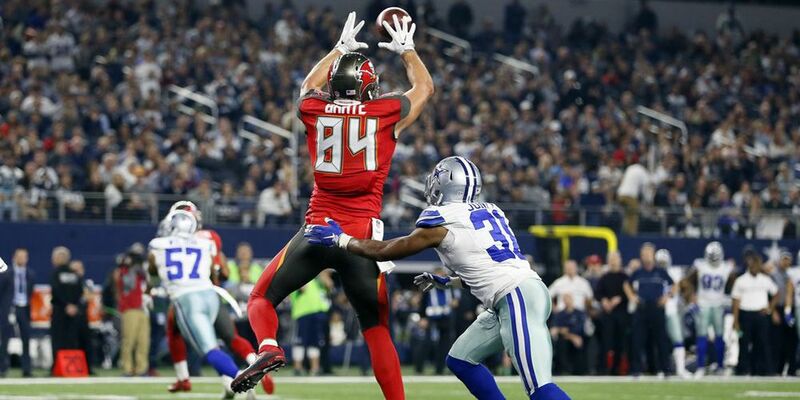 While he is already going to be one of the most added players headed into week 12, I also think that it is safe to immediately plug Brate. This week, the Buccaneers will welcome in a 49ers team that is coming off of their bye week and allowing the eleventh fewest points to the position. Despite that ranking though, this selection of Brate has more to do with the Buccaneers utilizing their tight end than it does the opponent. Combined, Brate and Howard have combined for 74 targets and eight touchdowns. The simple fact is that more often than not, no matter who the quarterback is, the Buccaneers will throw the ball. On top that, the Buccaneers game of musical chairs within the quarterback position has ended with Jameis Winston as the starter who loves to targets Brate. All signs point Brate’s way. At the tight end position this year, Kyle Rudolph has been one of the bigger fantasy disappointments. He hasn’t finished inside the top 10 at the position since week 3. The biggest reason for his fantasy downfall would have to be his touchdowns or lack thereof. After scoring 15 touchdowns over the last two seasons, after 10 games played this season, Rudolph sits with just two touchdowns. That doesn’t exactly bode well for Rudolph who now takes on a Packers team that didn’t allow a single touchdown to the position till last week. With barely allowing anything to the position, it should come as no shock that the Packers are allowing an average of just six points per game to the position. I’m staying away from Rudolph in week 12. It almost feels like everytime the Titans show some life, they fall off the face of the earth. Between a consistently inconsistent receiver in Corey Davis, and uncertainty at the quarterback position, the Titans are prime for the picking on Monday night. Twelve weeks into this NFL season, on a per game basis, the Texans are in the top five in fewest points allowed to quarterbacks and wide receivers. For the most, the Dolphins have done pretty well against quarterbacks. This week though, coming off of their bye, the Dolphins will have a tough test in the form of Andrew Luck and the Colts. The injury woes appear to be a thing of the past for Luck who has thrown for 29 touchdowns. Along with the touchdowns, Luck isn’t making many mistakes as he has thrown just one interception since week 7. The return of Ryan Tannehill may ignite some of the Dolphins skilled position players but defensively, I’m sitting the Dolphins in week 12. Thanks for reading & Happy Thanksgiving!